I realize that seeing a word like “Iommic” in relation to any band basically says it all. When I checked out their artist page over at the Neurot Recordings website, this word was applied to the supergroup, Shrinebuilder, as a way to perfectly illustrate the sort of mesmerizing sludge they conjure on their self-titled debut. But I think sometimes these overused one-word descriptors shortchange a band. At this point, the unending presence of Black Sabbath within hard rock and metal is as inescapable as The Beatles in pop and rock music. Metal is a genre that Tony Iommi fashioned and pioneered with a deft hand and a uniquely dark vision. It’s too seminal to outrun. 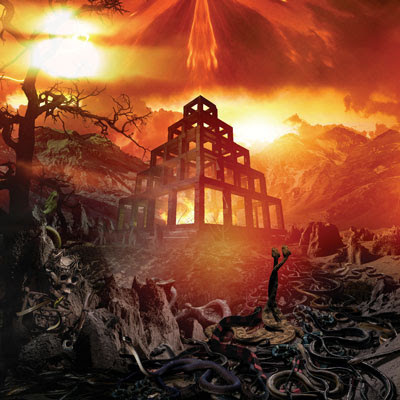 So, maybe we retire Iommi-as-riff for the sake of Shrinebuilder and instead focus on the brand of epic gloom and theological introspection that they’ve created because, honestly, this album is too good for clever all-encompassing genre-specific adjectives. Shrinebuilder is comprised of metal legend Scott “Wino” Weinrich, Melvins drummer, Dale Crover, bassist Al Cisneros (Sleep, Om) and guitarist Scott Kelly (Neurosis). With what seems to be an almost complete absence of egos, Shrinebuilder is a sum of pioneering abilities that aim for a new beginning. Though obvious and relatively predictable in terms of their heft and inclination toward the metallic aural odyssey, Shrinebuilder strings together an exact combination of the artists and their respective styles in almost too perfect a way. With as much blustery might as anything Sabbath or Zeppelin pulled off, and as much exploratory perseverance as Pink Floyd or Hawkwind, “Solar Benediction” rocks, stomps and drifts into a weeping series of guitar solos. The passion is breathtaking, but loud enough to keep the pulse pounding. 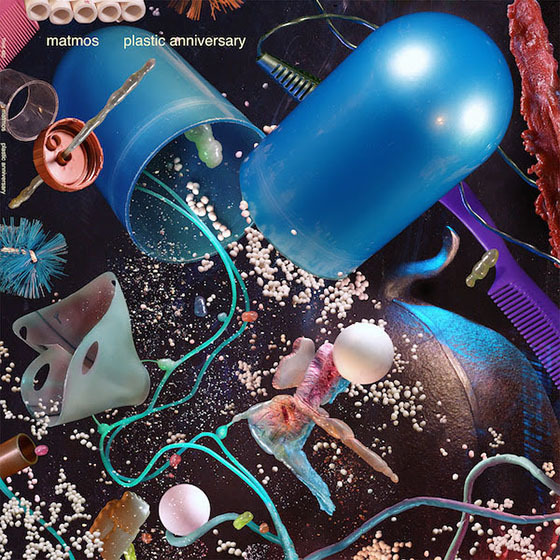 The wistful “Pyramid of the Moon” and shadowy motion of “Blind For All To See” makes for one of the best sequenced pairings I’ve heard this year, the energy rising and falling enough between the two to keep the persistence interesting. “Blind For All To See” in particular has an entrancing rhythm with elements building up, sonic weight and bells that grow in volume without ever exploding into an expected payoff. Instead, “The Architect” takes all the conventional wisdom of a rock n’ roll riff and utilizes it to release any pent up aggression. Cisneros’s bass line leads into what would otherwise be another song, but my incomplete promo copy doesn’t come up with the final track. Based on the four out of five songs I’ve heard, I can only hope that Shrinebuilder’s debut leads the band into many sequels. Also plunging into the depths of the swampy metallic riff, instru-metalists Pelican draw from their own time-space continuum, not so much in the stoner/occult sense but as the “winds of destiny” dance notes throughout their newest offering, What We All Come To Need. Pelican take a mostly straight-line approach with their music. Beginning with the mid-tempo slam of “Glimmer,” they allow themselves to drift, jam, wallow, relax and energize in an organized array of amplification. Pelican’s music has strength in a more life affirming kind of way, which isn’t to say that they allow you see God or help you lose weight, but that they possess a rugged durability that seems to carry on in spite of whatever. It’s motivational in that sense. 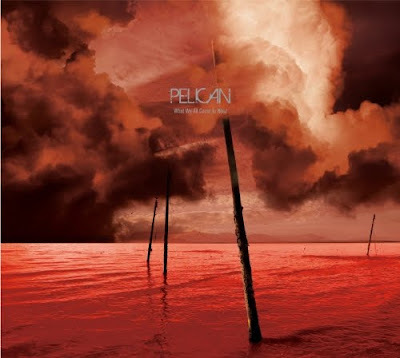 As Pelican come to further represent the more progressive aspects of metal music, (the presence of Sunn O)))’s Greg Anderson and Isis’s Aaron Turner making perfect sense), they also present an alternative to the somewhat typical and calamitous aspects of being dark and demonic. “The Creeper” has somewhat of a Southern articulation, “Ephemeral” is high-timbre guitar rock and “Specks Of Light” seems to chew on Kyuss’s desert sand a bit. Songs like “Strung Up From The Sky” and “An Inch Above Sand” play loud n’ heavy against ethereal tones, while the title track seems to play around with Alice In Chains’s “Sludge Factory,” a similar structuring and sound borrowing a bit from the 90s alterna-kitty. Allen Epley (Shiner, Life & Times) provides the album its only vocal expression with “Final Breath.” The track has a slow burn, Epley a rather graceful presence amidst heavy bass rhythm and near-dissonant guitar soloing. The album ends with high frequency winds and sporadic guitar cutting through what remains of its colossal storm.